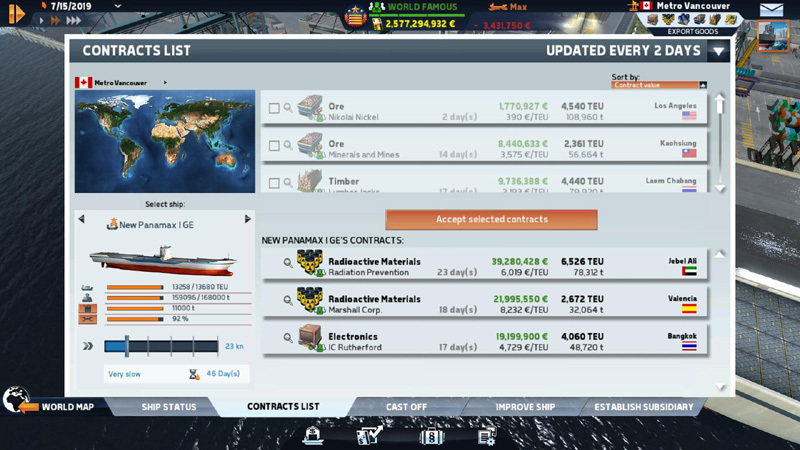 TRANSOCEAN - The Shipping Company is your ticket into the world of huge ocean giants and transportation empires. 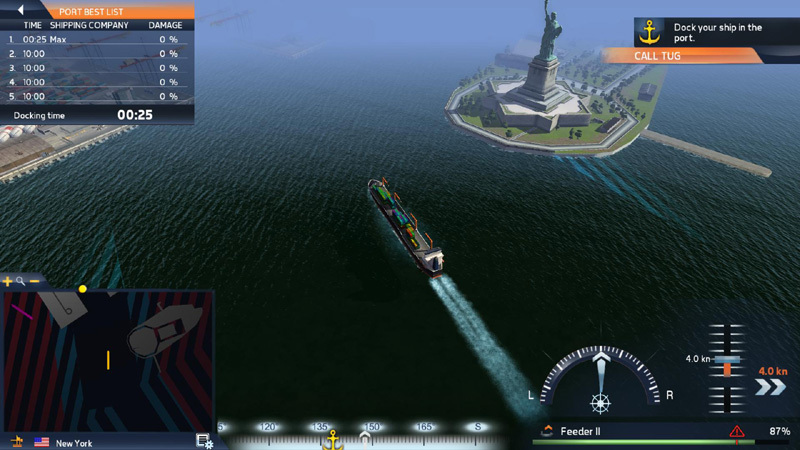 TRANSOCEAN - The Shipping Company is your ticket into the world of huge ocean giants and transportation empires. 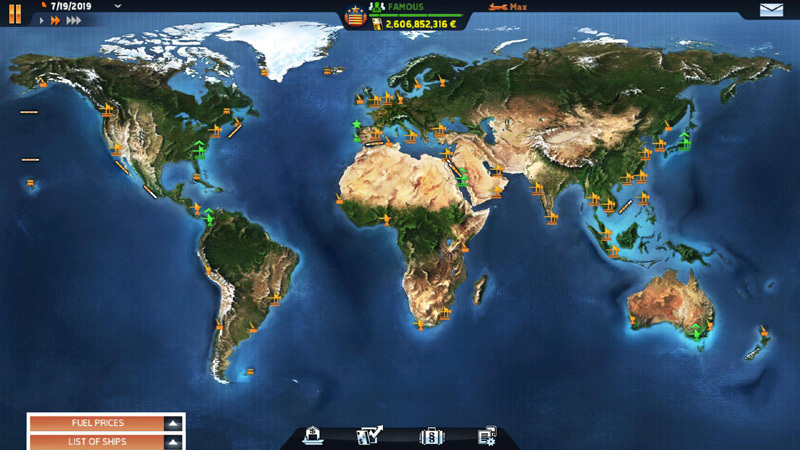 Create a powerful fleet of modern trading ships and dispatch them around the globe. 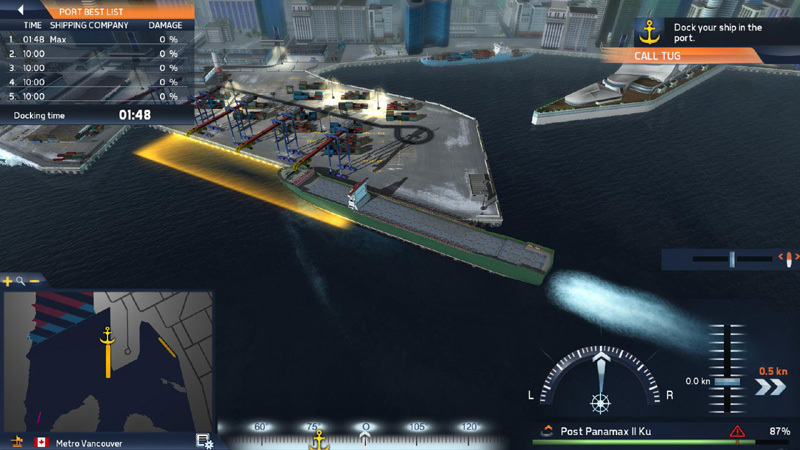 Follow your routes live, take over the controls as you come into dock and cast off from ports and make sure that your cargo is skillfully loaded. But never forget: Time is money! 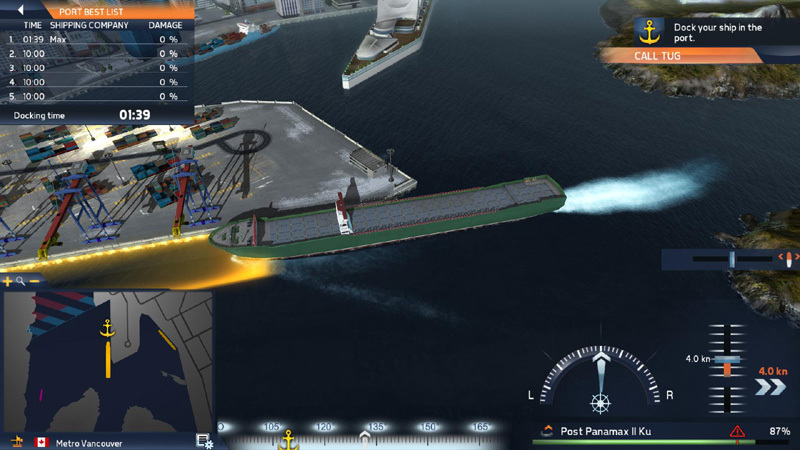 Don’t spend too much time in port! 55 of the largest, most famous and most exotic ports from around the world are waiting for you to visit them. One of these is your home port – and you decide which. Of course every port has its advantages and disadvantages, and so it’s well worth giving your home port some thought. A highly refined bonus system guarantees excitement with every decision. And with 20 classes of ship available, there’s plenty for you to think about. 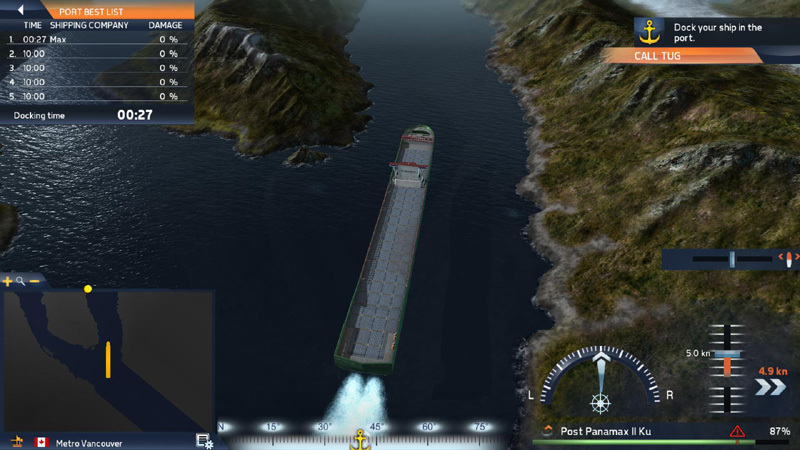 Is your ship designed for the Panama Canal or will you have to deviate and take a longer route? 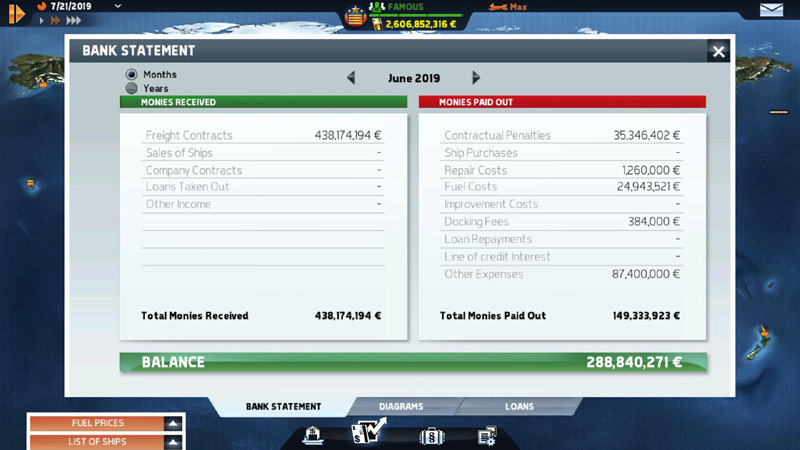 Do you prefer to take the shortest path through the Suez Canal or are you going to steer for the African ports to pick up yet another lucrative contract? Is there a storm front building up along your selected route, or have there just been warnings of possible pirate attacks? And is there even a berth for your latest freighter in the destination port? 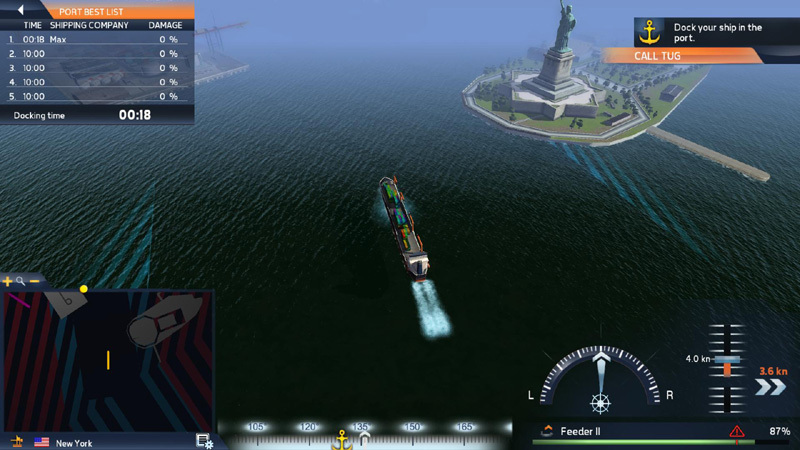 Lovingly crafted port designs based on real-life examples with highly realistically modeled ships and routes make TransOcean – The Shipping Company a very special gaming experience. A sophisticated trading system with dynamic prices lets you keep a constant eye on the most lucrative routes; because that’s the only way you can secure the best contracts. Make sure to maintain the balance between expenses and profit, and keep your nerve when you have to decide between different opportunities. Is it worth smuggling goods and putting your good reputation at risk? Think about it: The more successful and respected you are, the better the contracts you’re able to land. 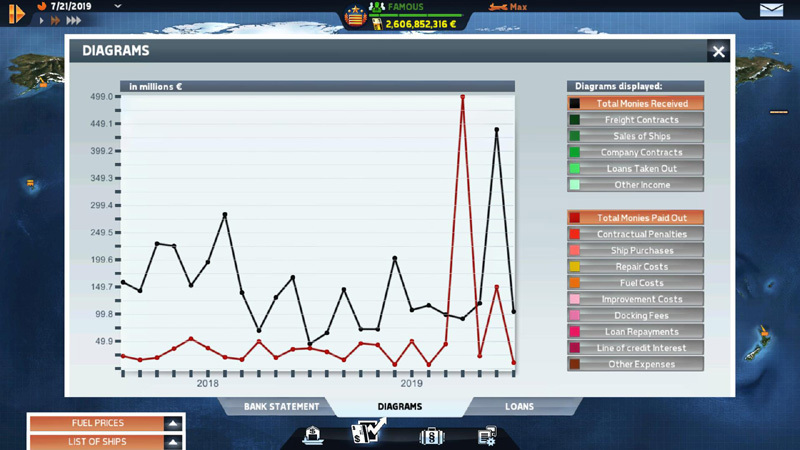 In online mode you can compete with other players for the most lucrative routes and the best prices; here it’s all about supply and demand. 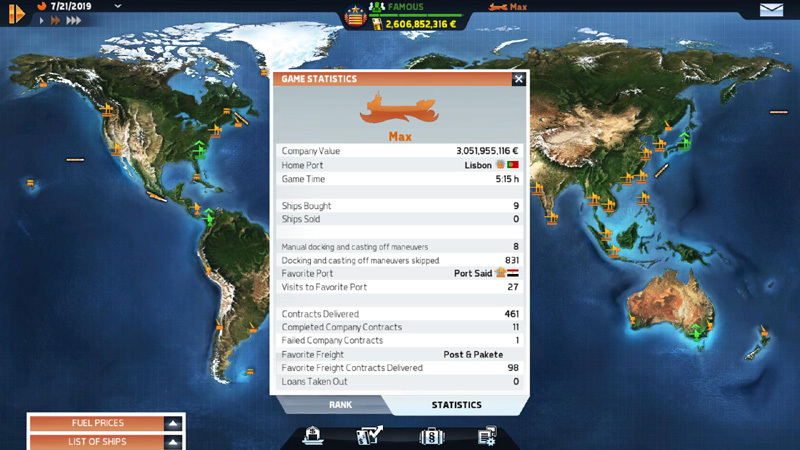 Lots of different paths can lead to your goal – find the right strategy for you in order to keep expanding your empire, and become the most successful shipping magnate of all time!